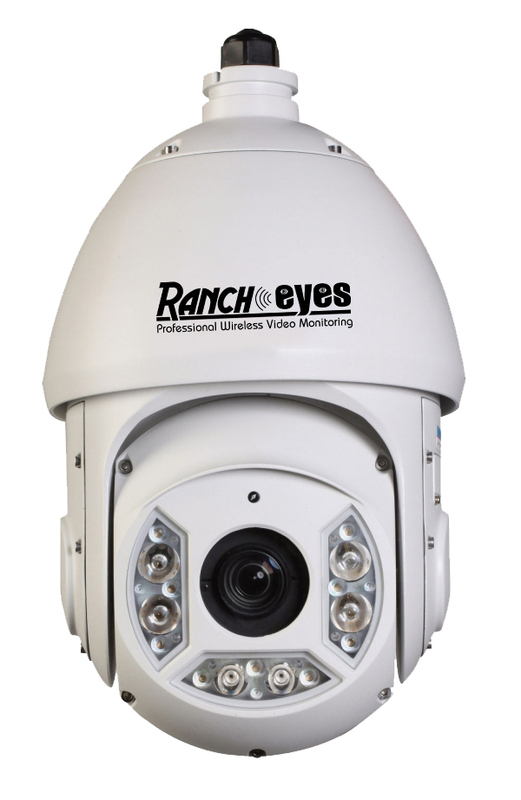 The Livestock Monitoring System (Rancheyes) comes with high quality High Definition color cameras - the best for this application. The camera resolution of 1920X1080(HD) is above the industry standard. The cameras are encased in a durable weather resistant metal housing to provide protection from the elements of high moisture, cold or ammonia. The system consists of the HD color cameras and a weather resistant transmitter box mounted on the outside of your calving / foaling barn. The signal is then transmitted up to 2 miles to the receiver which is located at your viewing location. (Additional receivers can be used to view from other houses on the yard) The receiver is hooked up to a Video Switch or NVR. The two miles distance is possible with the High Gain antennas; objects blocking the Line of Sight of the transmitter lessen the transmitting distance.